Learn the powerful method of healing your body and mind with Hypnotherapy. 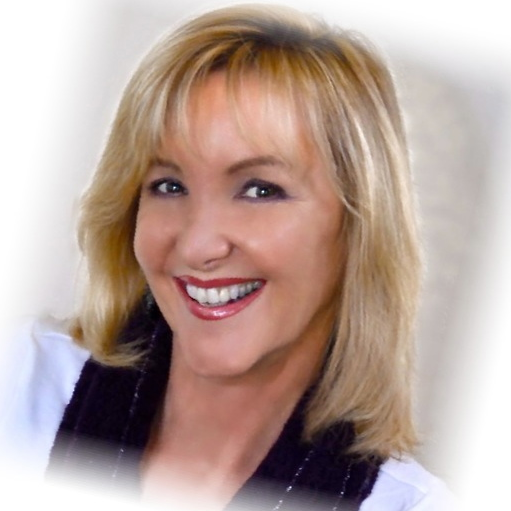 Wendi Friesen uses the science of how the brain creates healing in the body, using well researched and proven methods. ~~~You get the online video and audio program to access instantly. Are you struggling with health issues, pain and illness? Is your immune system weak and you are constantly sick? Do you have a serious illness and need to restore a positive attitude? Would you like to do Mind/Body Healing to create a powerful state of health? It is true- Your state of mind, your thought, your beliefs and your attitude all contribute to your health. Your immune system is dramatically affected by stress, inner turmoil, anger and fear. It may be possible. This program is really unique. I have developed it over the last two years with clients ONE ON ONE, and I have seen the results first hand. Yes, it is amazing. When you release your limitations and explore the potential that we have to communicate with the cells in our body, most anything is possible. I am very excited about this program. For all of you who have asked these questions and for a way to create excellent health, or to heal a physical ailment... this might be the answer. The all new, totally recreated from the ground up, Body Mastery Hypnosis program. The on line 8 day Challenge is ready! Start today. My best work, with all the newest methods, breakthroughs and techniques that will make your brain program your body for health and youth. Important- Get started today with your video challenge, each day a new session! This program uses a unique method created by Wendi Friesen that creates a holographic connection between mind and body, then applies the cellular communication through this holographic grid. The program also accesses the "blueprint" of the brain when it had all the information for YOUTHFUL cellular structure, and asks the brain to apply this YOUTH blueprint to the current condition. Miraculous, some say, when this inner wisdom is accessed. The targeted hologram track will allow you to create a specific change in great detail to the targeted area of your body. Apply this to vision, or skin problems, or the site of an injury, or to heal rapidly after surgery... or any part of the body that needs intense healing. This method asks the subconscious mind to access the function of immune factors, cellular growth, hormonal balance, blood flow, oxygen supply to cells, removing harmful bacteria and toxins, and more... to achieve a condition in the body for optimum health. EVERY session uses new methodology applied to the holographic model. 8 Videos to help you understand the process and to make it eve more effective with daily challenges to create massive shifts in your health. Physical, Mental and Emotional bodies, clearing & programming. Brain Blueprint to restore a more youthful mental function. I can hardly describe how excited I am to reveal this new Body Mastery program and you can be one of the first to experience it. I know the original program has created miracles for so many people, and now the new version will create even more miraculous results! Achieve Mastery of your Health, your Body, and your beliefs about aging. Hypnosis sessions that teach you the Body Mastery Holographic method of mind body communication. Is it possible to repair scars, bone injuries, damage or pain to the body? Can your skin cells be programmed to become healthy, strong, and more youthful? The advancement of research about the potential of our mind/body connection is raising the possibilities for creating the body we want,whether it is for healing the body, releasing IBS or Chrons, ending back pain, balancing an under active or overactive immune system, stopping migraines and much more. Research from Manchester University in England has proven that muscles achieve over 50% of the size increase and strength from visualizing alone, as compared to doing the actual exercise. This program is a breakthrough in the integration of a Youthful body, Healing illness and injury, and promoting the optimum condition in your mind and body for health, strength and youth. Research done for Hypnosis for Dementia shows some amazing and positive results. Hypnosis for Irritable Bowel syndrome shows success of over 80% in removing symptoms. This 8 day experience will be an intense healing experience. Every aspect of health- the physical, emotional, mental and spiritual issues- will be released and resolved. Watching the videos each day will teach you why this is important, help you to learn what happens during hypnosis and trance states and give you the deepest possible healing experience that is grounded in honesty. Honesty- what does that have to do with healing? Honesty, and your willingness to look within yourself for answers, is the biggest hurdle for healing. Working with clients in person has shown me that the hidden issues that we carry are responsible for most of our health problems. A physical symptom did not start with the physical problem. Before the condition arose there were other issues that suppressed the immune system, or caused the immune system to be overactive, or triggered migraines or back pain, IBS, Chrons, etc. Your brain knows how to find and correct the underlying issues. And here is what I consider to be the most amazing part of this program. Every element of health is explored and resolved. In these 8 days you will be exposed to processes that target emotions, mental attitudes, spiritual and energetic aspects, and deep trance physical healing. You will find and release secondary gain issues, find your core beliefs about your illness, resolve emotional battles that are raging within you and release pain that is caused by inner turmoil. After the election, I really needed to relax & meditation wasn't working, so I used the 1st session, and I went into deep trance successfully. by the time I did the meditation for clarity and intention, I was deeply relaxed and ready. I felt great after. Make a commitment for the next 8 days and find out how powerful you are when you heal your body, mind and spirit. Get started right away with the New Body Mastery-Extreme Health 8 day challenge. This program uses a unique method created by Wendi Friesen that creates a holographic connection between mind and body, then applies the cellular communication through this holographic grid. The program also accesses the "blueprint" of the brain when it had all the information for YOUTHFUL cellular structure, and asks the brain to apply this YOUTH blueprint to the current condition. Miraculous results when this inner wisdom is accessed. Amazing stories of healing. You are next? Do you want to feel better, today?